I married a Foley Footstep! What is often perceived as the unveiling of time through recorded media, is something which can be considered as situating real time (that is the performance of recorded time in real time). 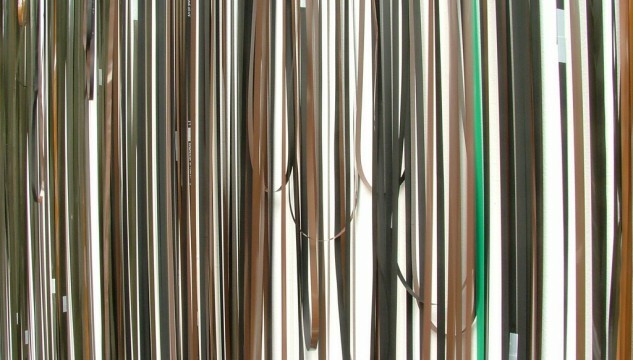 The playback of previously recorded time through materials such in film, video and audio is therefore positioned and reconsidered through re-perception. An exactitude of time in performance creates new space. For this Installation Ben presents two works that have formed out of his research into the materialism of recorded media as reduced perceptions of time: Firstly, a Vinyl record made from repeated recording processes, an attempt exacting time on each recording that unveils recording space. Secondly, a wall work of actuating paper rendered audible through electromagnetic means, transduced from audio to the acoustic. Conversely, both works interact on a human scale where duration and the moment of performance are made explicit to the source of sound. 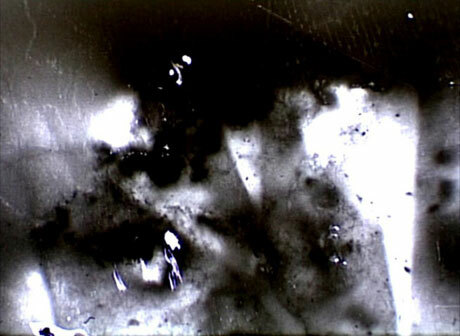 The title references Andrei Tarkovsky's 1986 book of a similar name 'Sculpting in Time', itself considered as a cornerstone text on perspectives of film making and cinematic practice. Itself translated from Cyrillic Russian to English as a text and then 'googled' into the English phonetic alphabet. To verbalise without prior experience exacts tactility of the pronunciation over the meaning. Instead of sculpting in time or even 'with' time, the work ruminates on both the materialism and exactitude of recorded time in real time, that conversely succumbs to its own physics. This Installation is part of Ben Gwilliam's P.h.D. Research titled 'non recorded materiality: of sound medias and reduced perceptions of time' that he is currently completing at Oxford Brookes University. Kindly Funded and supported by Sonic Art Research Unit (SARU), Oxford Brookes. 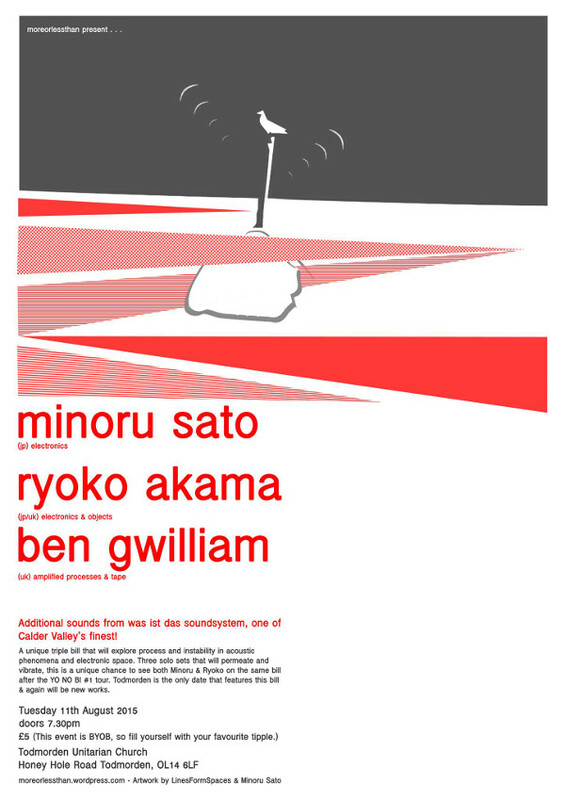 The last date of Minoru's UK series and Im fortunate to not only host him, but also work with Ryoko Akama on this one, such a nice arrangement of artists for a phenomological evening of acoustic surfing I kid yee not. June 2015. 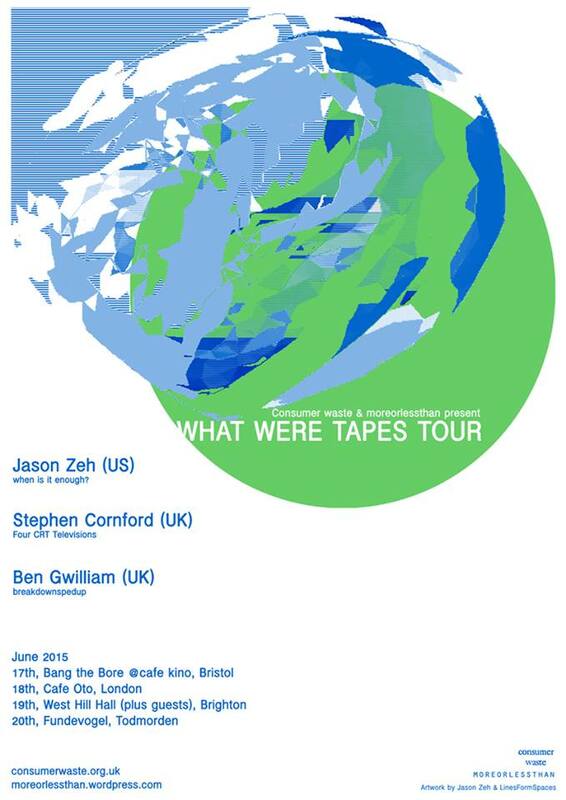 A rare chance to get the Zeh over to England has finally worked. Dont miss out! Set up by Karen Mirza and Brad Butler in 2004, no.w.here also presents a year round programme of events, screenings, workshops, schools education, residencies, studios and publications. This project has been developed with the support of Film Hub North West Central, part of the BFI's Film Audience Network. More info here & here. This gorilla suit wearing & cat litter tray crunching double bill hits Madrid this coming 5th June at Ca2m. Part of the annual picnic sessions season, we will be performing this outside on the rooftop terrace, possibly faster at 24fps!!! emptyspiel iv at audiograft 2014, showing with Zimoun. 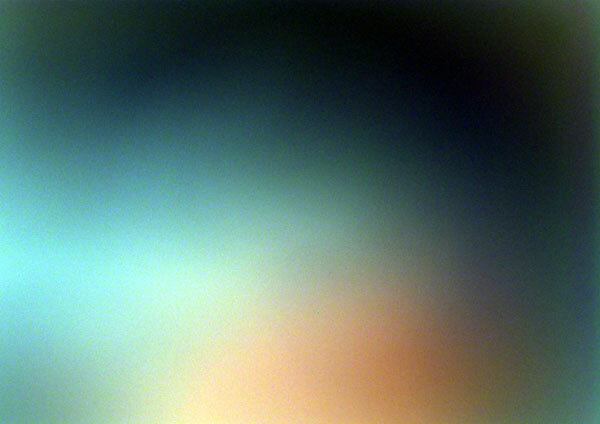 Old work in a new show at the castlefield gallery, Manchester. The exhibition will feature work by Cory Arcangel, Anton Bruhin, Jenny Core, Dina Danish, Denicolai & Provoost, Maya Erdelyi, David Evans and Ben Gwilliam. Mondegreens are mishearings of words or phrases, which in turn acquire new meanings. Pareidolias are randomly occurring shapes, forms or sounds experienced as significant by individuals or groups. Drawing on examples such as misheard song lyrics or sightings of religious figures in banal objects, this exhibition explores how misunderstandings can lead to everything from amusing mistakes to amplified experiences of the world. 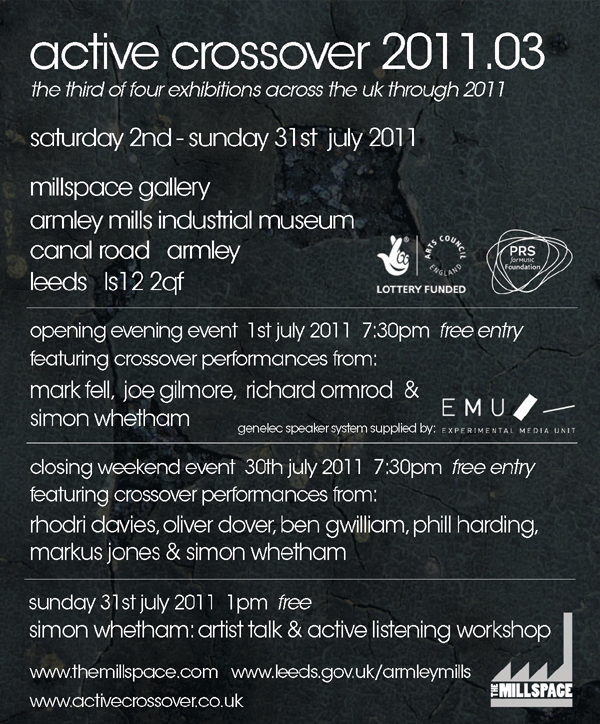 Some Misunderstanding brings together eight artists from across Europe, the U.S. and the North West of England. Dina Danish performs her own mondegreen as she strains to lip-sync to Gloria Gaynor’s ‘I Will Survive’ under water. Anton Bruhin organises the Swiss-German dialect in order of near-homophones, problematising the task of differentiation for the listener. Ben Gwilliam’s installation wäil, a play on the words veil and wail, shimmers and whispers with unheard sound when disturbed by the viewer. Cory Arcangel compresses Iron Maiden’s song ‘The Number of the Beast’ 666 times, referring to its history as a source of subliminal messages, and ‘corrects’ Jimi Hendrix’s performance of the Star Spangled Banner using Apple’s auto-tune software. Inspired by sci-fi film sets, Dave Evans’ Paper Mountains indulge our ability to suspend disbelief. Jenny Core’s drawings encourage our inclination to recognise familiar patterns in abstract images. Maya Erdelyi constructs meaning by reorganising her own random thoughts, family histories and dreams, whilst Denicolai & Provoost expose the blurred lines between subjective experience and objective reality, between seeing and believing. 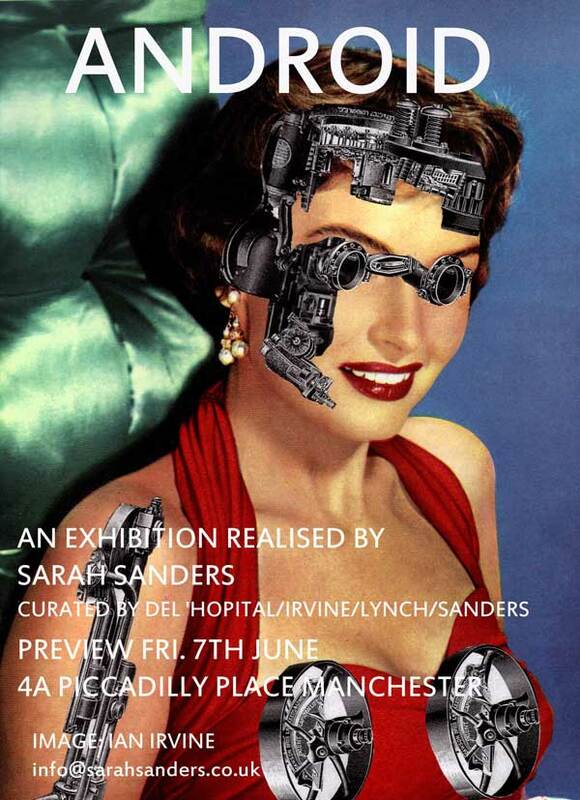 A new work 'Empty spiel IV' is included in this show, realised by Sarah Sanders & curated by Julie Del’Hopital and Ian Irvine with assistance by John Lynch. 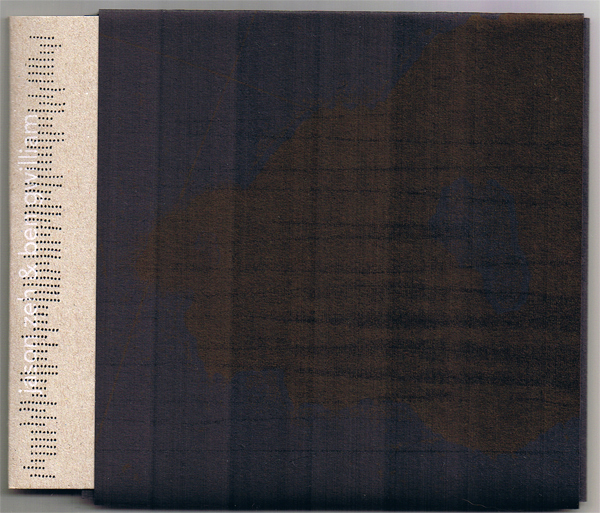 THE DARK WOULD gathers work by over 100 contributors including some of the most noted artists and poets alive today: Richard Long, Jenny Holzer, Fiona Banner, Maggie O' Sullivan, Tacita Dean, Tom Phillips, Tom Raworth, Nja Mahdaoui, Ben Gwilliam, Lawrence Weiner, Susan Hiller, Tsang Kin-Wah, Charles Bernstein and many, many more. This is a moment in time when poets and many artists share the same primary material: language. Conceptual art, vispo, text art, outsider art, conceptual poetry, flarf, concrete poetry, live art, L=A=N=G=U=A=G=E, sound scores... THE DARK WOULD is a compelling document, alchemising text into art into text. The anthology is split between two volumes – paper and virtual. Many of the works are in two parts, speaking to one another across the paper/virtual divide, as a metaphor of dis/embodiment, considering time, mortality, grief and human traces in the natural world. THE DARK WOULD anthology is available for purchase, £29.99 (plus P&P) order online from distributor Knives Forks & Spoons. 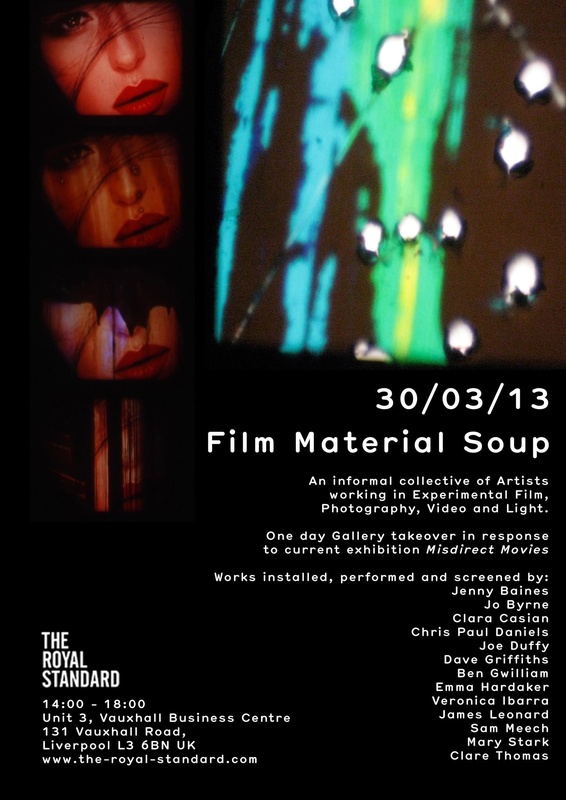 This Saturday the 30th at the royal standard in Liverpool. I'm showing soundtrack to a tapepull for one afternoon only, just the way it was conceived 7 years ago! ...not much stuff from me as recent, Im a NEW DAD which is a great way to start the year! 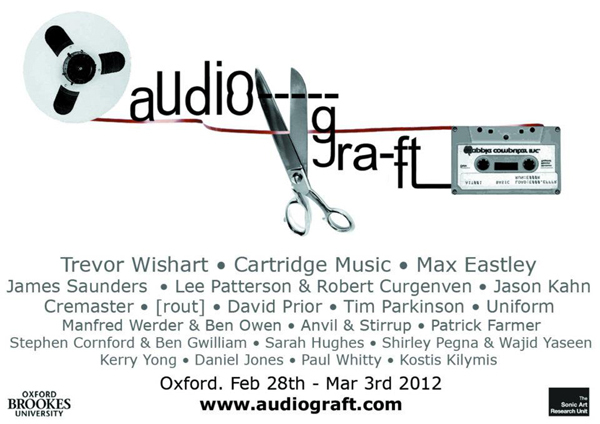 Here is my first outing exhibition wise as part of this year name packed audiograft festival. I may even get a chance to see bits of it this year! Found:ED in Blackburn is an annual festival of live art, music and technology taking place on 17th and 18th August, 2012. The Festival will bring together professional artists from the North West as well as artists graduating from Blackburn College. This is an exciting opportunity to experience Blackburn town centre in a different, creative light. A variety of spaces around the Cathedral Quarter will be animated to provide local shoppers, residents and visitors to Blackburn a special Lancashire experience. Found:ED is about exploring what is special and unique about Blackburn as a place that is rich in history and culture. There will be a trail of artworks that consider Blackburn’s hidden treasures, its eclectic past and showcasing new talents of the future. Expect to participate in digital experiments, live performances, and intimate cinematic events. 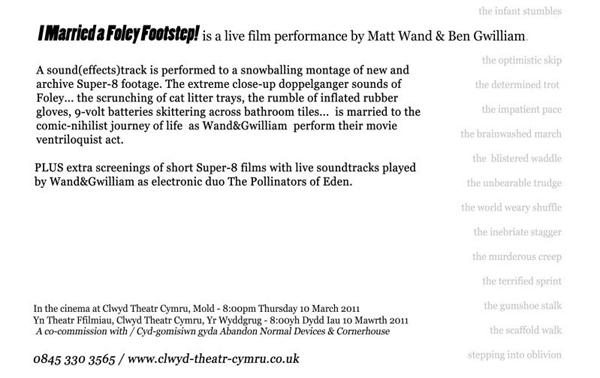 There will be acoustic music, large screen film projections, audio and photography. The art works will be either about Blackburn or created with a Blackburn audience. Follow the trail and learn about the art works through digital interpretation using QR codes. Complete the trail and earn yourself a free drink at one of our participating food venues. Found:ED is host to AND (Abandon Normal Devices) Festival’s Mobile Republic project headlining the festival this year. Mobile Republic is a convoy of interactive caravans. The caravans will be parked up at the newly opened Blackburn Youth Zone, Jubilee Street adjacent to the train station. The classic touring caravan is a symbol of the traditional British summer holiday, but these caravans are not what they seem. Beneath their innocent exteriors the five caravans have been radically remodelled and re-imagined by artists, architects and activists. The five caravans will group together in a wagon circle, creating a central ‘big-top’ social space and will feature an artist’s studio, performance space and an indoor/outdoor cinema. The artistic programme includes work from artists Ben Gwilliam (sound), Caroline and Dave from Huckleberry Films (moving image), Daniel Weaver (performance) and Jane Bennett (installation) and artists from Blackburn College include Allen Lui, Mark Purser, Jonathan Martin and Liam Eshghi. This residency leads on from Recorded (on) Delivery, a recent installation at Modern Art Oxford in February 2012. In this work they dismantled separate tape machines and posted the components to one another, each recipient producing a single sounding action with each part. 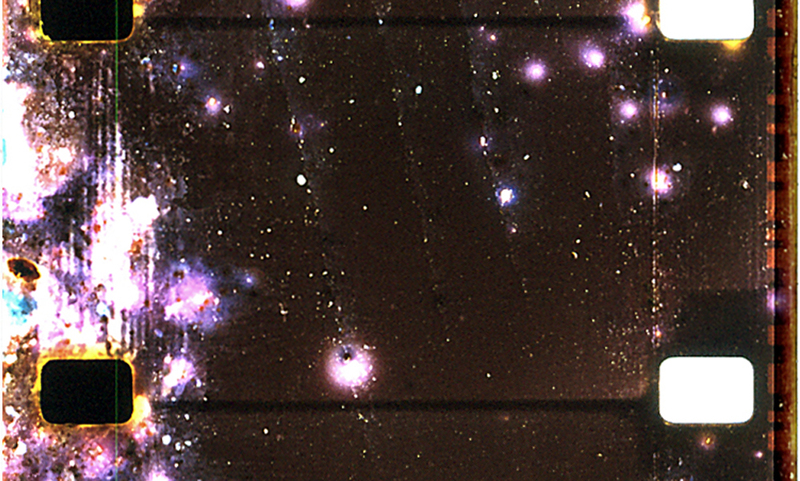 These actions were recorded onto 1/4" tape. In Brussels Stephen and Ben have developed a new recording project using this methodology. This process of deconstruction has become the work, a form of composition which is governed by the physical components of the machine but also allows for the free interpretation of an object in hand. At QO2 they have revisited this process together, starting with a complete machine. Resistors and capacitors have been crushed and used as styluses, speakers have become microphones, metal housing used a radio antennas. 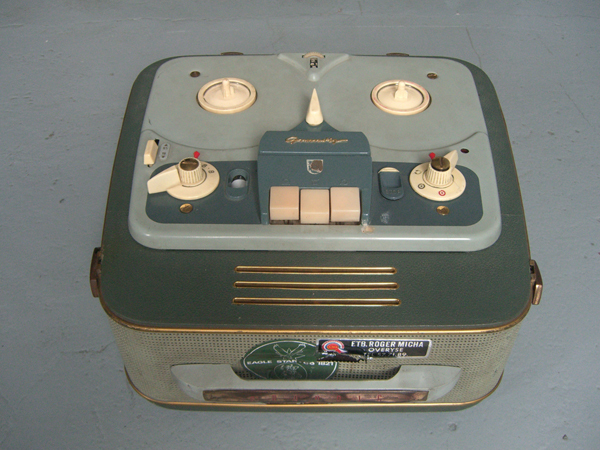 Over the course of the evening we will dismantle a Grundig TK2 tape machine purchased earlier in the week at the Marché aux Puce. Individual components extracted from the machine are selected for their acoustic, conductive or physical properties and used in the ensuing performance. 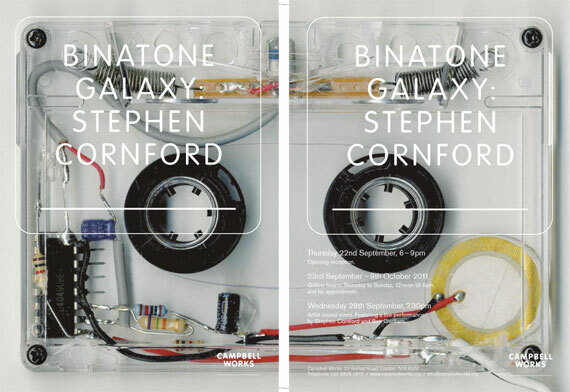 A new Installation in collaboration with Stephen Cornford at Modern Art Oxford, for the annual festival of sound art and new music in Oxford. Duo CDR with Hainer Woermann on amplified cardboard. 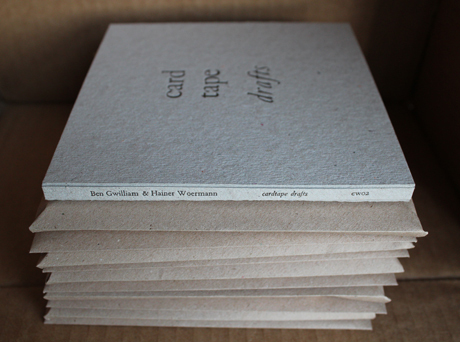 Edition of 100 in beautiful hand made and letter pressed card packaging. 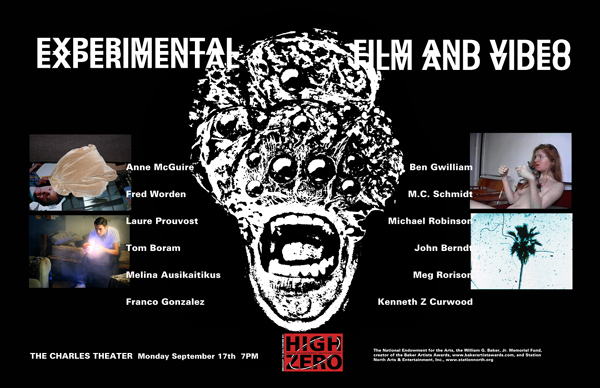 with two film & video works by Rob Gawthrop plus a collaborative performance. 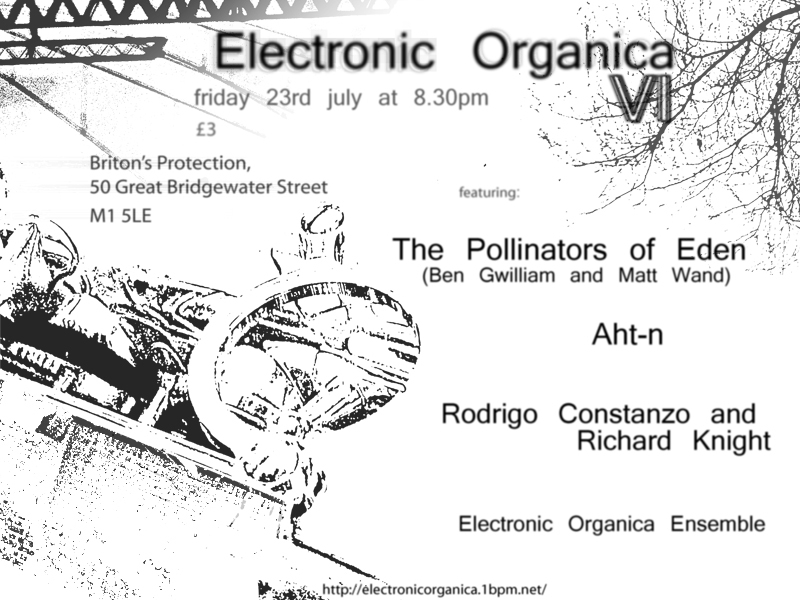 Improvisation with percussion, surfaces and electromagnetic sources in response to the above films. 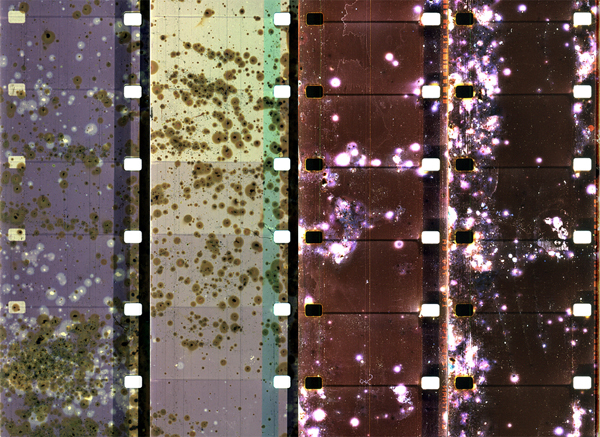 Oxide (ii)+(iii) is a multiscreen, multiprojector performance & installation work using 16mm & super 8 film and magnetic sound. Rob Gawthrop in conversation with Ben Gwilliam about the making of the piece oxide (ii)+(iii) summarizing the process to reception, questioning current themes such as image & sound, noise & musicality. Finishes with a discussion. For more information please see sound and music and at no.w.here. by Stephen Cornford and Ben Gwilliam. Fri 15th April, 8pm. The Green Room, Whitworth Street West, Manchester, UK. 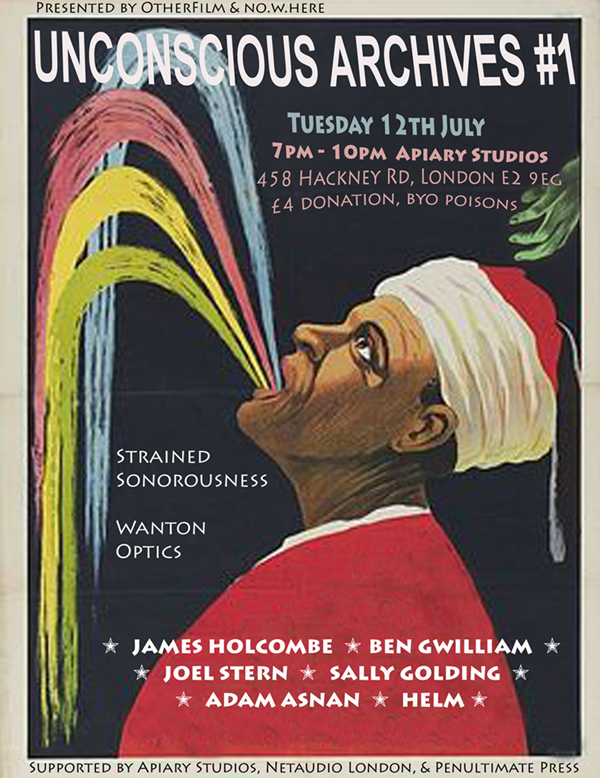 An evening of virtuoso vocal performance and groundbreaking sound art. Featuring the stunning linguistic contortions of Icelandic poet Eirikur Orn Nordahl, the extreme extended techniques of baritone live art sensation Phil Minton, international performer & visual artist Maggie O'Sullivan and a live collaboration between Ben Gwilliam and Philip Davenport, a sound distillation of Davenport's spreadsheet poem 'appeal in air'. The event will also feature specially commissioned soundpoem interventions by Carol Watts, Simon Smith and Sarah Boothroyd. The Language Moment is the opening event of the international Text Festival which will continue with a series of worldwide events during 2011-12. 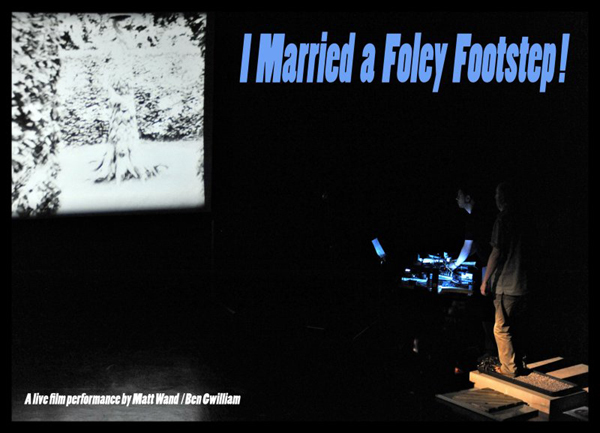 I Married a Foley Footstep goes to Theatre Clwyd Mold. Korm Plastics is proud to present the sixteenth release in the Brombron series. Originally a co-production between Staalplaat and Extrapool, it is now hosted by co-curator Frans de Waard. In the year 2000 Frans de Waard and Extrapool started the Brombron project. Two or more musicians become artists in residence in Extrapool, an arts initiative in Nijmegen, The Netherlands, with a fully equipped sound recording studio. These artists can work in a certain amount of time on a collaborative project; a project they always wished to do, but didn’t have the time or the equipment to realize. 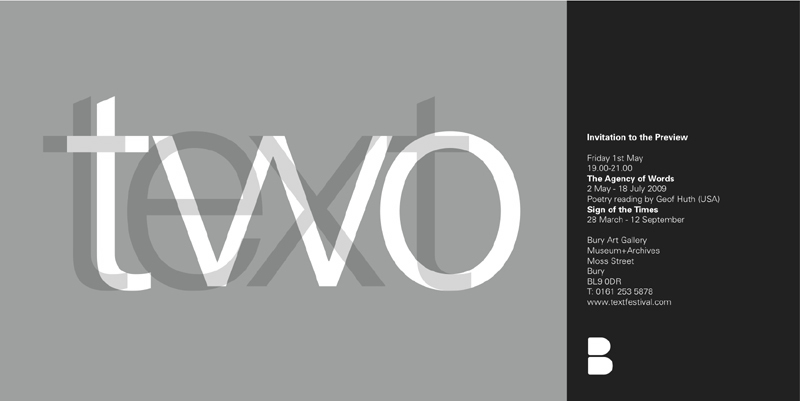 a distillation of P.Inman's nono text as part of the Luigi Nono CD launched on the 22nd November. 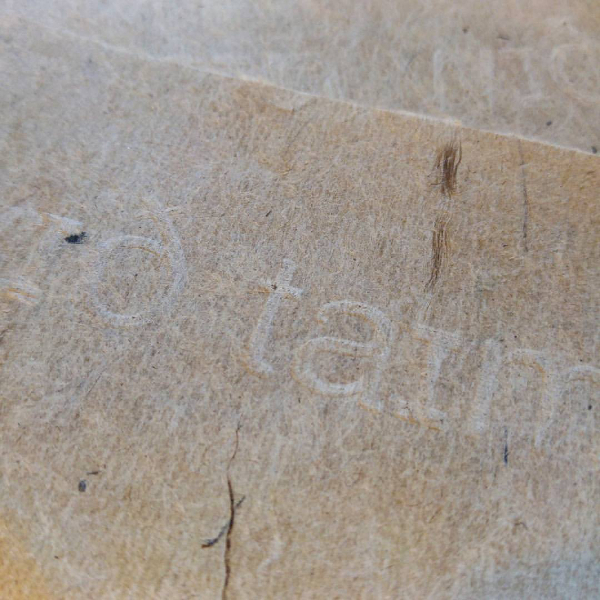 A menu, tables but no food… instead tables laid with objects producing sound. …menu for murmur is an experiment that will show new and exciting Sound Work, which acknowledges the subtle interactions of different sound work and highlights trust between artists. As many regulars of sound art will attest, the presentation of such work in group exhibitions can be problematic due to the very nature of noise itself; its ever-penetrating, omni-directional nature resulting in unintentionally overlapping sounds. Rather than viewing the overlapping of noises as a disturbance, …menu for murmur takes such sound bleed as its central concern. Curators Ben Gwilliam and Helmut Lemke have invited international sound artists to contribute individual pieces that will stand on their own but will also create a new collaborative piece …menu for murmur. The sound objects, which include electorinic devices, rulers and even a desk fan, will consciously be arranged in one space far and near. 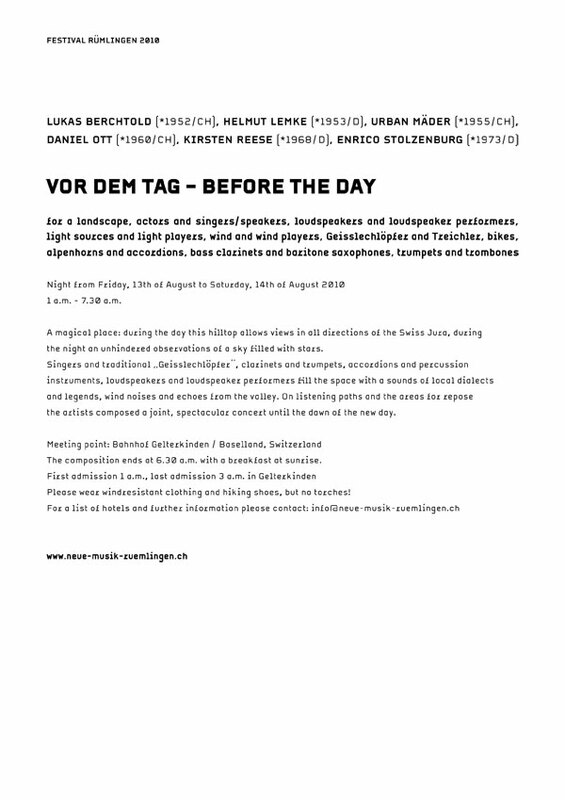 Sounds will be heard simultaneously, individually and in collaboration; close listening events as well as more cacophonous ones will emerge throughout the duration of the exhibition, considered by Gwilliam and Lemke to be one continuous performance. A performance event will be held on Saturday 5 June featuring sounding interventions and interaction with the exhibition by sound artists Mick Beck and Matt Wand. the handmade, the human touch, the not-digital. These qualities link into the alternative tradition of poetics - and to 'outsider' artists who are owed a debt by the experimenters (an IOU all the way back to Will Blake, he and the Mrs sitting on the lawn in London afternoons, naked, drinking tea). keyboard player in two famous Korean indie pop groups in the 90's. Hankil's music now focuses on abandoned 'non-instruments' such as old telephones & typewriters and his live sets are improvised using clockwork motors & objects. He organizes a monthly improvising event in Korea called RELAY which has been going since 2005 and releases music & magazines from his own publishing office MANUAL. T.H.F. Drenching: mastermind of the insanely prolific and diverse d.i.y. label 'FENLAND HI-BROW', his unique performance technique utilizing Dictaphones was a core element in Derek Baileys band LIMESCALE. 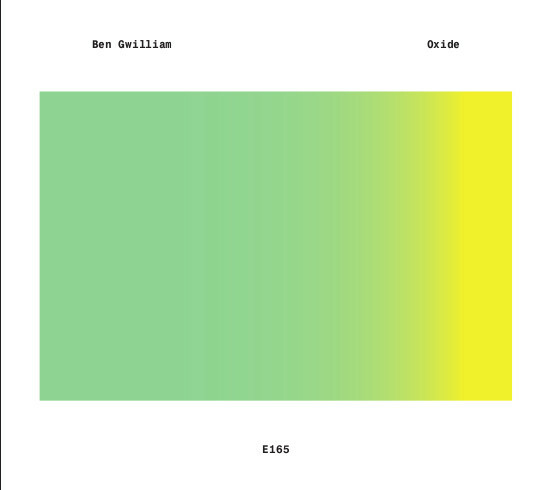 Ben Gwilliam: another analog tape user perhaps a distant & more minimalist cousin of Jerome Noetinger of METAMKINE fame. He's far too young & talented to be labeled as a nostalgist for an age when 'Data Retrieval' meant winding the tape back onto the spool by hand, but that said, he is old enough to appreciate the zen mind block of HISSSSSSS. Good grief! not a token musical instrument in sight In that line up, truly the folk music of the machine age has come of age and "WALKMAN" is the new "WASHBOARD" for todays proletariat. I, for one, am ecstatic! see you there. In October 1984 Korm Plastics officially started by releasing the 'Katacombe Vol. 3' sampler. 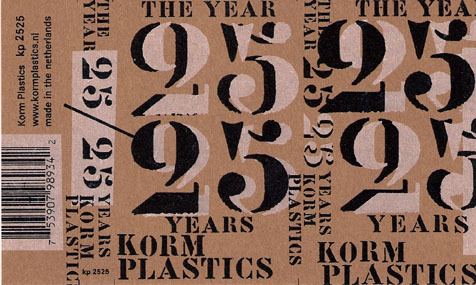 Now, 25 years, to mark this occasion Korm Plastics releases a compilation cassette, again. Each artist got two minutes and fifty seconds to fill, and there are twenty-five artists. Limited to 250 copies on blue tape, with on-body print, cover designed by Meeuw. All exclusive tracks by: Jos Smolders, Howard Stelzer, Machinefabriek, KK Null, Radboud Mens, Big City Orchestra, Edward Ka-spel, Ben Gwilliam, The Tobacconists, Francisco Lopez, Peter Duimelinks, The Haters, Freiband, Z'EV, Raymond Dijkstra, Asmus Tietchens, Idea Fire Company, Mirko Uhlig, Roel Meelkop, Richard Francis, Jason Zeh, Silverman, Illusion Of Safety, Pick-up and Stephan Mathieu. A fine mixture of microsound, noise and popmusic. 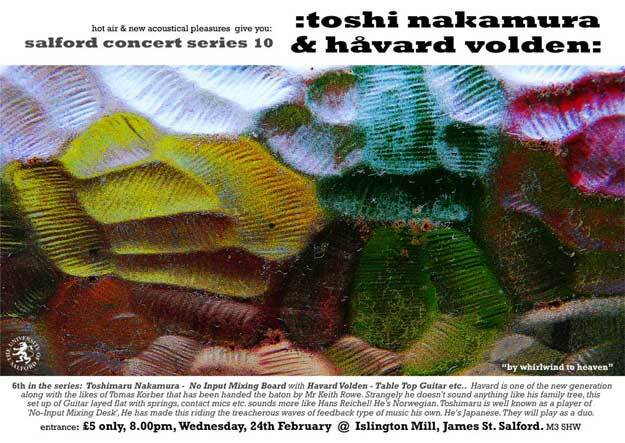 SCS 10 :: Håvard Volden & Toshimaru Nakamura. Håvard Volden : a player of the 'Table Top Guitar', an instrument with a long history, this guy is one of the new generation along with the likes of Thomas Korber that has been handed the Baton by Jim O'Rourke ( in his youth ) who in turn was handed it by Mr Keith Rowe ( who's history is as long & radical as his personal music taste is as bewilderingly Reactionary! ). Strangely he doesn't sound anything like his family tree, with him this ...cough.. 'Traditional' set up of Guitar layed flat with springs, contact mics etc attached comes out sounding more like Hans Reichels Daxophone recordings! Toshimaru Nakamura : a player of 'No-Input Mixing Desk' , again this 'instrument' has a history, going back thru David Tudor, David Berman, David Myers, lotta Davids there strangely so lets add an Eliane Radigue in ( early stuff before the modular synth got her ), but Nakamura has made this type of music making by riding the treacherous waves of feedback his own. A visitor to Manchester once or twice in the past decade, his previously minimalist style of sharp amplead pulling pops, electric line impedence hum & subtlely EQed feedback have given way in recent years to a more aggressive angular approach. It will be a pleasure to hear this development within his duo with Havard. PLUS: in a slight avant-face on our usual "Promote! NOT Self-Promote!" 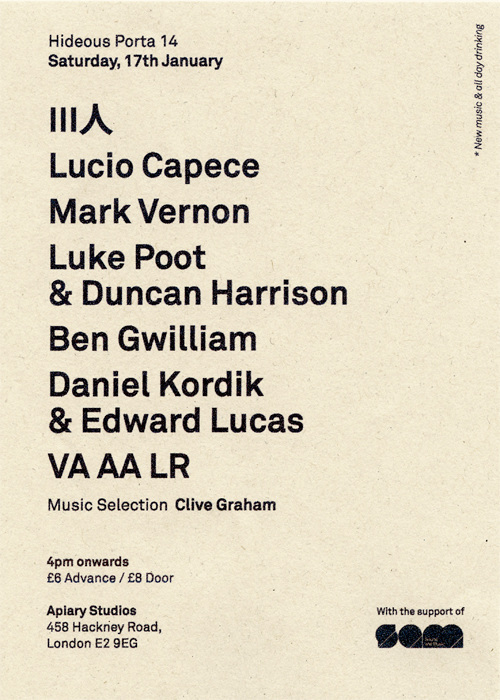 mantra there will also be a couple of short sets with duo or trio combinations of Havard & Toshi with some of us, the SCS personel ie: Ben Gwilliam, Lee Patterson & Matt Wand.. They're English. All very capable players in this context. This is primarily to garner further recordings for a 2 cd set documenting the series ( release around MAY/JUNE?on the newly revived HOT AIR imprint, but keep it under your hat ) and because these opportunities to play may well be doomed to extinction in the very near future. 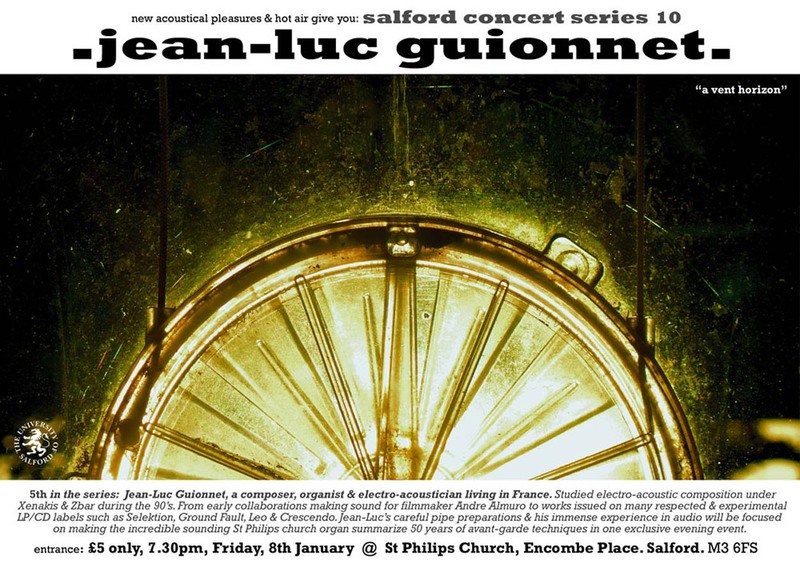 A first for the North West, this well known French Improvisor and electro-acoustician graces our shores by performing his careful pipe preparations on the historic Church organ of St Philips. Expect a post-christmas audio treat of maximalist sounds and mictrotonal tendencies. Enjoy! fourmill plus quarterinch is the duo of sound artists and improvising musicians Helmut Lemke and Ben Gwilliam. In this collaboration the two artists use different formats of audiotape; pre-recorded, prepared and unprepared. From individual banks of sound recordings on tape comes a subtle and often dense music that is both composed and improvised in concrete time. FREE EVENT, BOOKING REQUIRED To book please call the gallery on 0161 832 8034 or email events@castlefieldgallery.co.uk with your contact details and number of places. 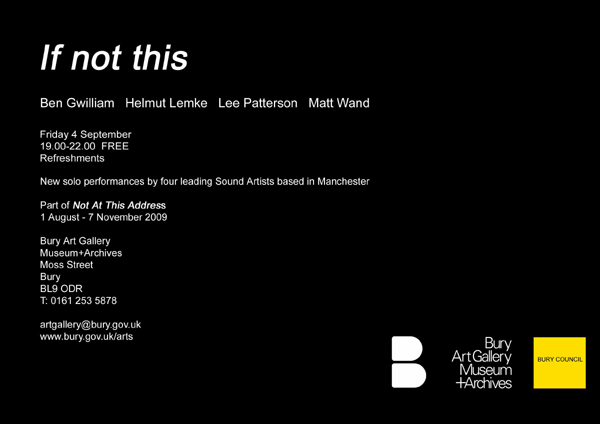 As part of the Exhibition Not At This Address (1 August – 7 November), Bury Art Gallery presents an evening of new performances from four of Manchester's most active Sound Artists working today. If Not This is a survey of works that explores sound in performance, crossing the terrain where music and sound often meet inside and outside of Contemporary Art. Ben Gwilliam performs 'molto semplice e cantabile' a new work for ice records and turntables on the relationship between opus 111 and listening descriptions. 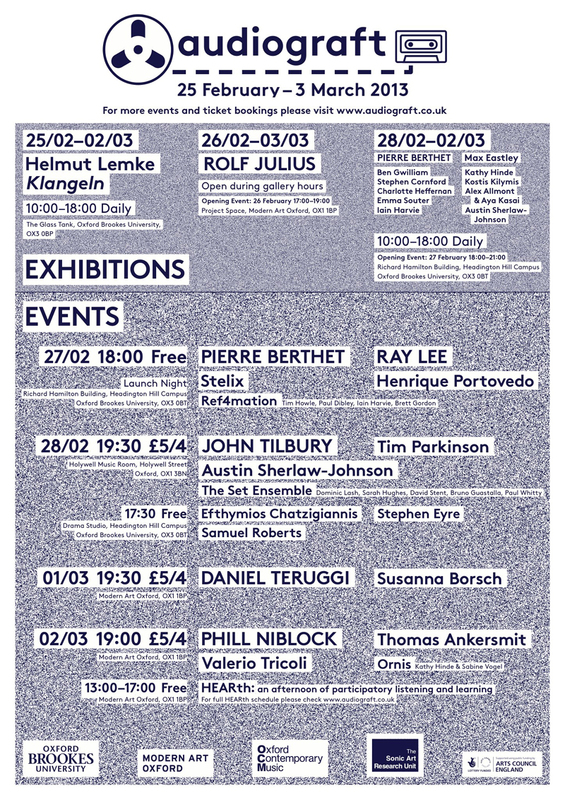 Helmut Lemke will perform a durational piece specifically for the gallery that utilises live sound and amplification. Lee Patterson will present a new work containing pre-recorded and improvised elements, where the recordings used are sourced from wire fences in Birtle and within bodies of water in the Bury Metropolitan area. Matt Wand will probably perform 'I owe it to the girls'. 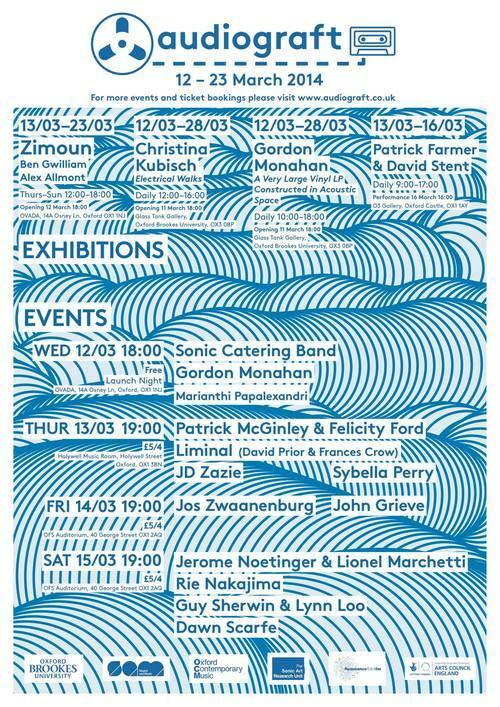 Lucid yet obscure, If not this overlaps durational performance, improvisation and structural scores as constructs in time and space – memory and the moment. 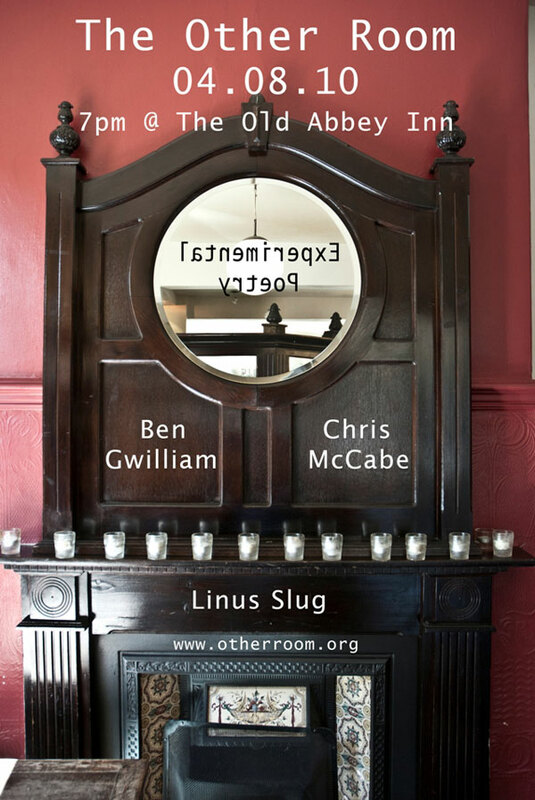 doors opening: 8.00pm, your financial outlay: a mere £5. close to a lower frequency John Butcher. I said 'Maybe'! part 1: 'A WOMAN ESCAPES' for Prepared soprano saxophone. part 2: 'MARFA' for Sruti box + filter. Cassette + Mini Disc Walkmans + prepared Soprano Saxophone. part 4: DE L'ETERNEL ET DE L'EPHEMERE. for Prepared Bass Clarinet. Several parts of the piece have been performed in various parts of the world over the last year or so BUT this is the first time the whole piece has been heard complete. Its definitely not Pokemon BUT finally you can collect the set and only here in sunny mancunia! 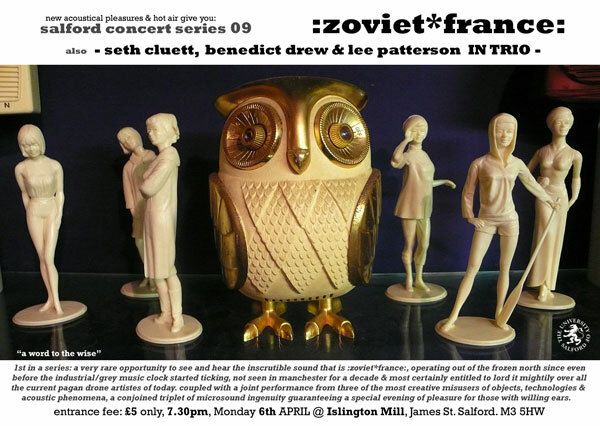 This Salford Concert Series brought to you by fortunate happenstance & Ben, Matt & Lee. 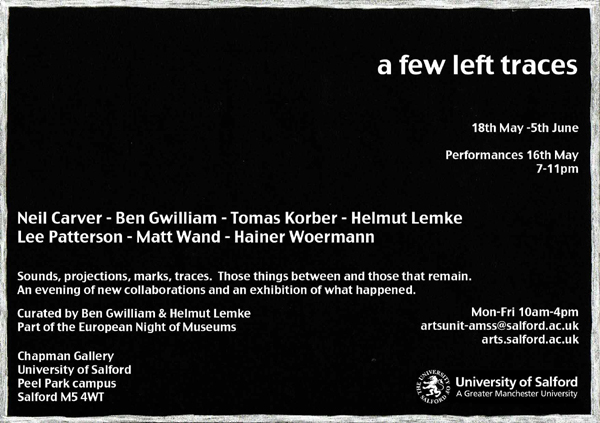 ‘a few left traces’ is a performance and exhibition concept initiated and curated by Ben Gwilliam and Helmut Lemke. It will be taking place at the Chapman Gallery at the University of Salford as part of the European Night of Museums and is organized and funded in co-operation with the Arts Unit. 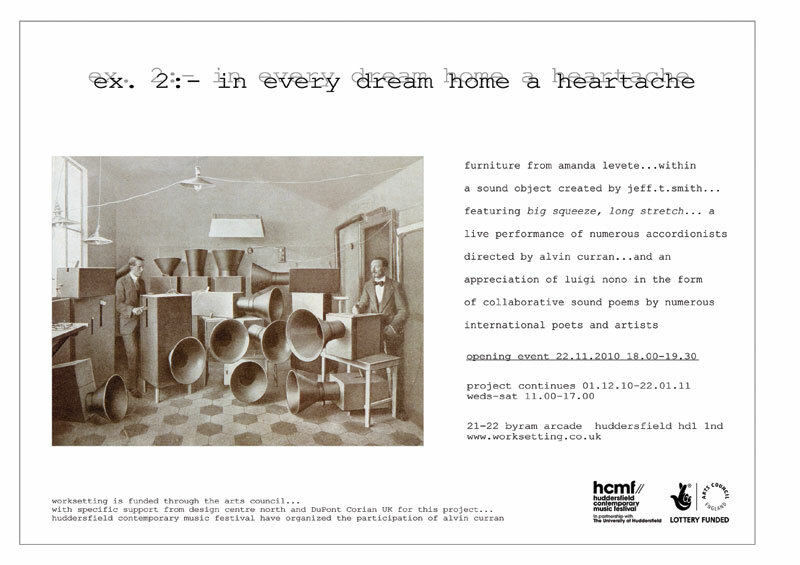 Following on from a previous event in 2007 (then the silence increased), ‘a few left traces’ is both a performance event and a subsequent exhibition that unpicks sound/music as an Interdisciplinary Art Practice, bringing together thought and debate as part of the process of making. On Saturday, the 16th May from 7pm to 11pm, 7 musicians and sound artists collaborate together on one communal surface (20ft x 8ft table). The invited participants are established artists from the UK and abroad. Central to the performance is making new improvisations and to try new collaborations between players who have not done so before. Risk and experimentation are important. The Audience will experience a performance evening of various improvisations and collaborations that happen in different arrangements of performers. It is from this performance that the exhibition will form as a document to the processes that took place within the collaborations. - Collected objects left over from the sound generating events. These 'Left Traces' are assembled and projected back onto the table as the exhibition, exposing the temporal and musical processes (traces) that happened in time. 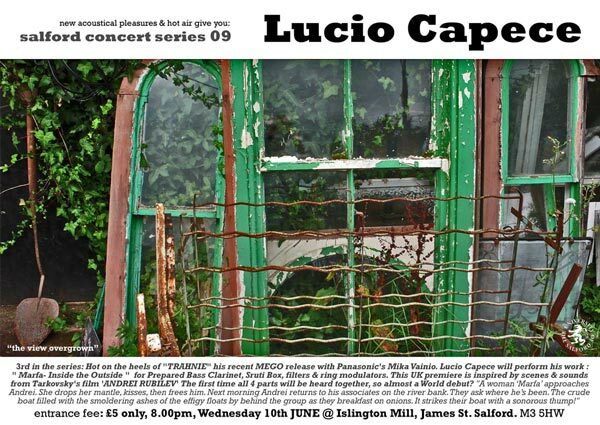 Thursday 7th MAY at the most laidback venue in town: ISLINGTON MILL, James street, Salford, (for the sat-nav savvy: M3 5HW) doors opening: 7.30pm, your financial outlay: a mere £5. Deserving of much attention for his early use of turntables and prepared records. This German based artist of longstanding comes directly out of and is contemporary to the late 70's Milan Knizak 'Broken Music' school of playing physically ruined records. 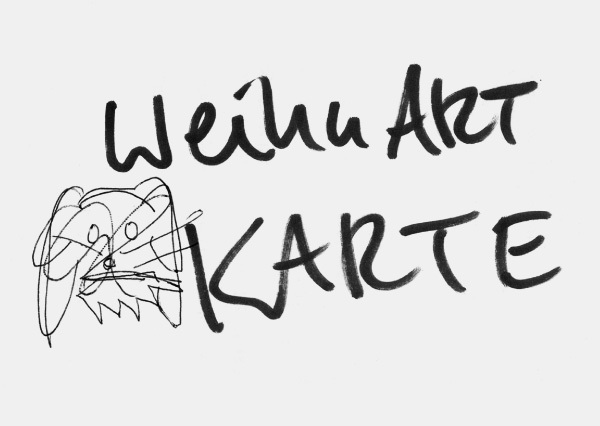 In 1982 he co-founded the artists' collective Heinrich Mucken, an intermedia platform animated by a handful of experimental musicians, visual and performance artists. Mick is known for his manic energy and originality: his playing covers the full emotional gamut from heartbreaking to mischievous,Beck's ground-breaking work and technical innovations with the mysterious and blackly humorous bassoon are often the best source of inspiration to his collaborators on stage. He has worked with many ( could that be ALL!! ) of free music's best-known exponents so I won't bother to name check, just think of your favorite player and chances are he's been there and raised an eyebrow and flapped a few trouser cuffs with his triple-tongued double reed dissonances! Ben works with open reel tape, cassettes, field recordings and magnetic objects but that's really just the start of it, his process often uses the space itself and even more often the sounds from inbetween the spaces, the recordings, the magnetic fields themselves..
His sound palette explores time, space, harmonics and decay and in a live way similar in effect to placing your tongue on the contacts of a 9volt battery. A duet between him and Mr Van Bebber will crackle like a hundred balloons rubbed on a small hairy child's scalp. Also known as Marie-Angelique Bueler, a contemporary classical composer and flautist coming out of Twentieth Century Music Studies at Sussex University ( where she worked with Martin Butler and Michael Finnissy.) She now predominantly devotes her sound making activities to playing Bricks in an improvised stylee. YES! Bricks! but don't expect a high-heeled version of Einsturzende Nuebauten, this amazing performer founded the band LIMESCALE with Derek Bailey and her intricate dance of scrapings and inner-ear percussives has graced a good 3 dozen CD's on the Fenland Highbrow Label and others. Dust will fly! safety goggles recommended. I play electronics, I improvise and have done since way way back. I recall the mocking tones of those many many self important players of 'REAL' musical instruments back then: " Just a button pusher! " they would shout! " You can't improvise on a Sampler!!" etc, now there isn't one of them that doesn't have a laptop player or samplist in their trendy 4tet and yet, why do I not feel vindicated? The suspicion remains in many eyes "its just not proper music". 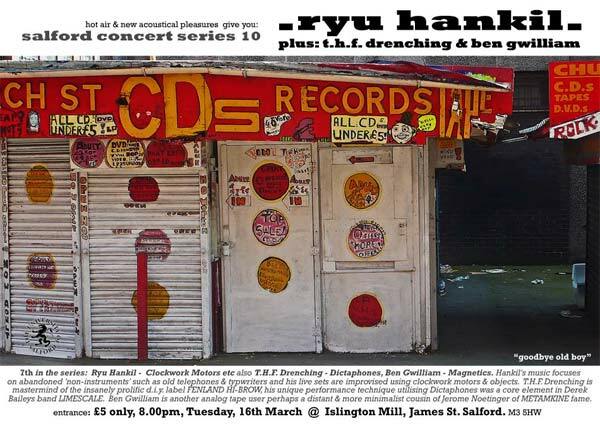 This Salford Concert Series brought to you by the painstaking persuasions and babysitter bribing of Ben, Lee & Matt, make use of it whilst its still happening. 'Any number can play' will be part of the exhibition 'The Agency of Words' at Bury Art Gallery. The exhibition is a survey of works exploring the performative landscape of language and identity. Provocatively playful and deadly serious, the agency of words overlaps words as material, words as gesture, words as constructs of meaning and fiction. Artists: Hester Reeve (HRH.the), Ming Wong, Patrick Pannetta, Sarah Sanders, Ben Gwilliam, Irene Barberis, Spencer Roberts, Liz Collini, Debbie Booth and Catherine Sargeant. With only some loose change salvaged from behind the sofa cushions of the University of Salford Arts Unit and a vaguely old fashioned urge to see like-minded people gathered together in 3 dimensional space rather than some mybook-spaceface-twitblog-webroom, New Acoustical Pleasures and Hot Air have put together and offer up to you the first in a series of 4 to 5 evenings of rare quality noises, music and pregnant silences. your financial outlay: a mere £5. 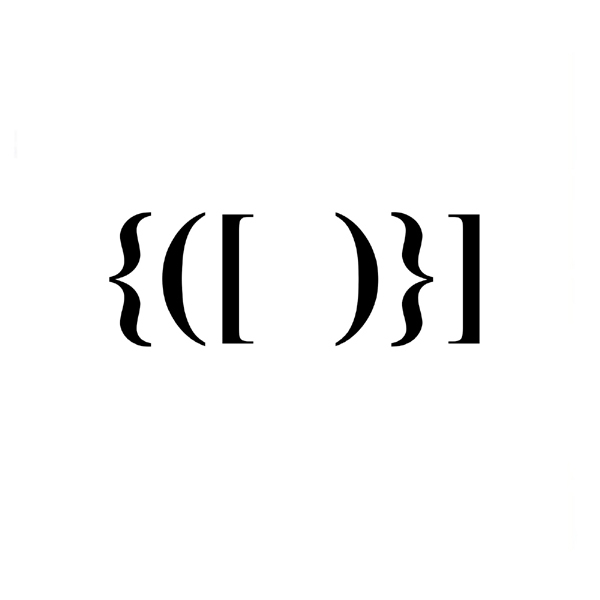 this band/mysterious fog of sound need no introduction, if you don't know who they are or what they have done historically to define an area of music currently bleeding into every avant-garde audio nook and crack known to man, then you'd better start googling double smartish. Not that that will help you as the Z*F entity has remained aloof from the record industry and any normal modes of promoting an 'Image'or a 'Product' for nearly 3 decades. 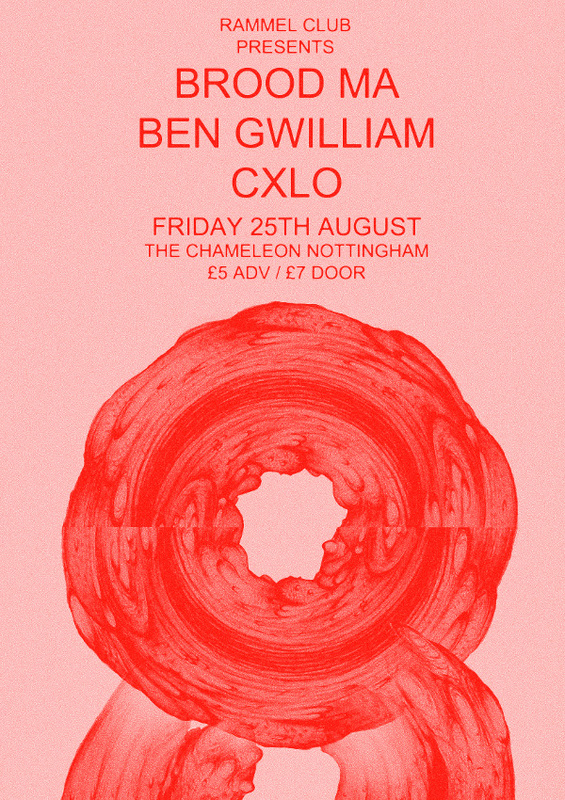 We are very very proud to give them a space, some speakers and let them get on with it..
secondly but most certainly first classly - Seth Cluett, Benedict Drew & Lee Patterson performing in a trio. 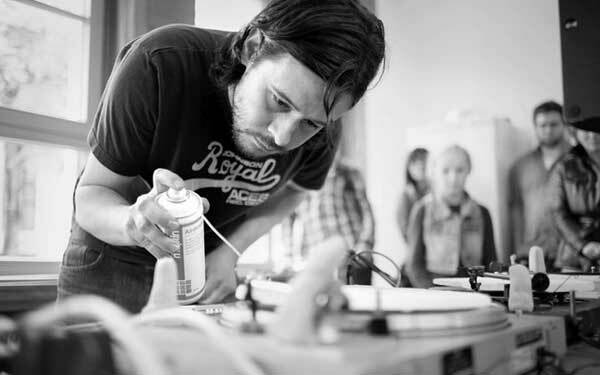 Seth Cluett: Modified cassette decks, oscillators and Amplified Objects. 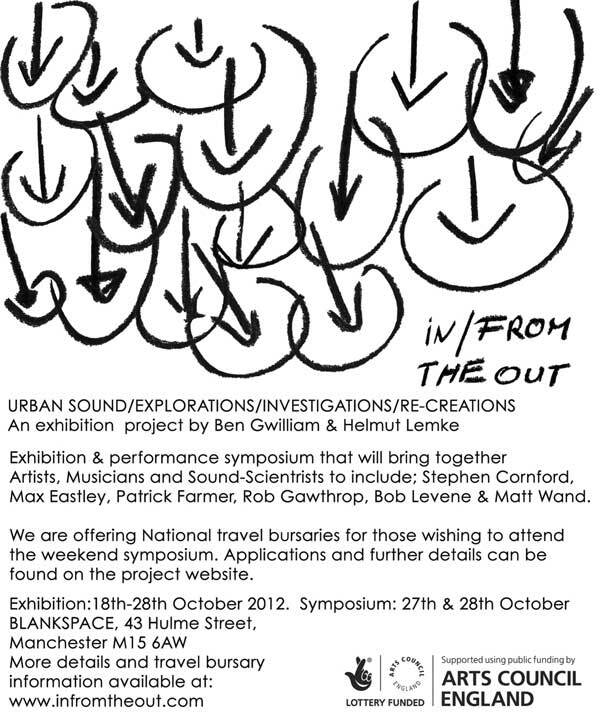 Lee Patterson: springs, objects, natural & un-natural acoustic investigations. Benedict Drew: amplified paper. balloons, wire and charcoal. the triangulation of these particular three performers promises some wonderfully intricate, tense and eyebrow raising tones. Quiet please! for this one we recommend you pay full attention and save your popcorn rustling and champagne cork popping until later in the evening.. 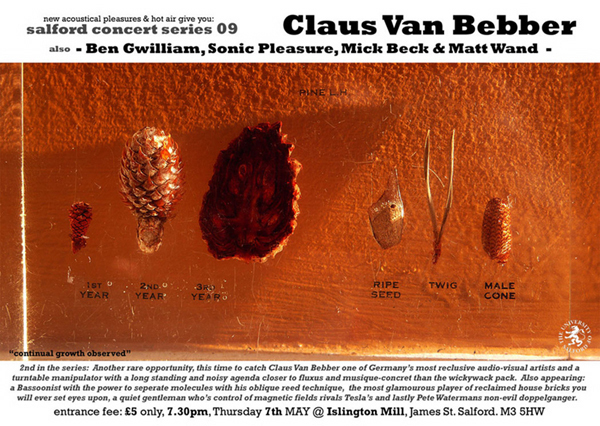 This Salford Concert Series brought to you by the kindly actions of Ben, Lee & Matt.